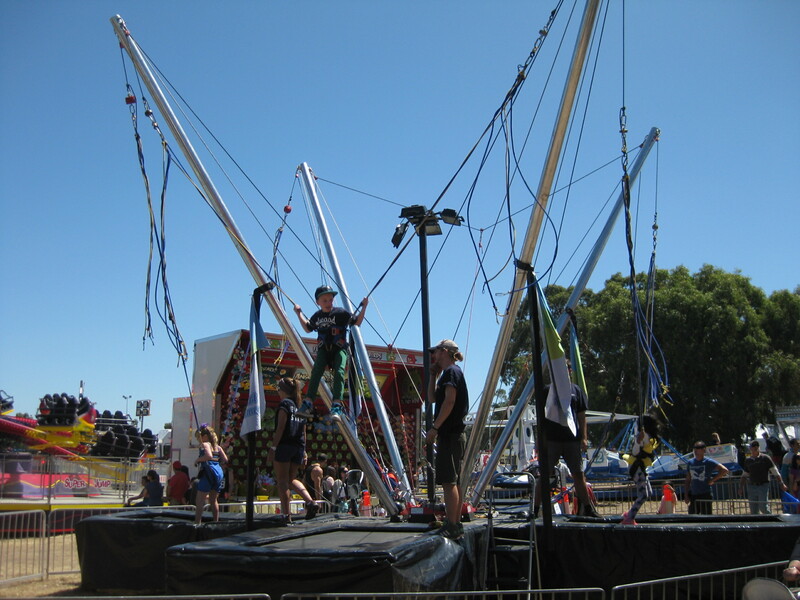 Take your event sky high with Bungee Trampolines, backflipping, somersaulting and jumping high in the air. 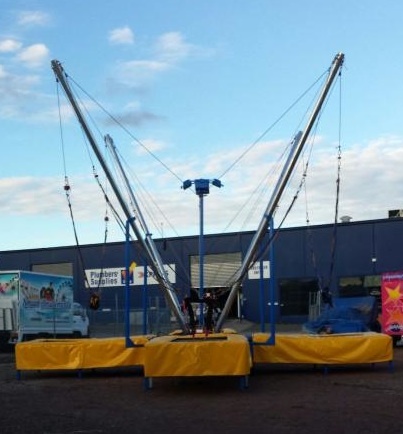 A popular way for people to experience a real thrill in a safe and controlled way. A Bungee Trampoline at your next event, fete or festival will have everyone jumping for joy. 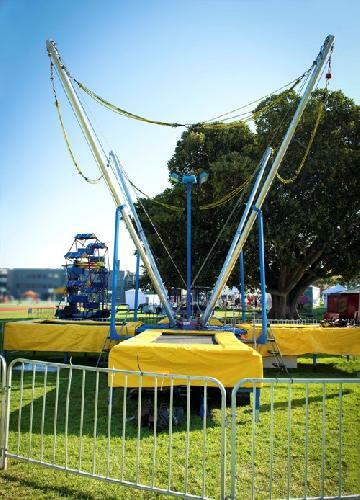 Maximum weight on this attraction is 80kg.